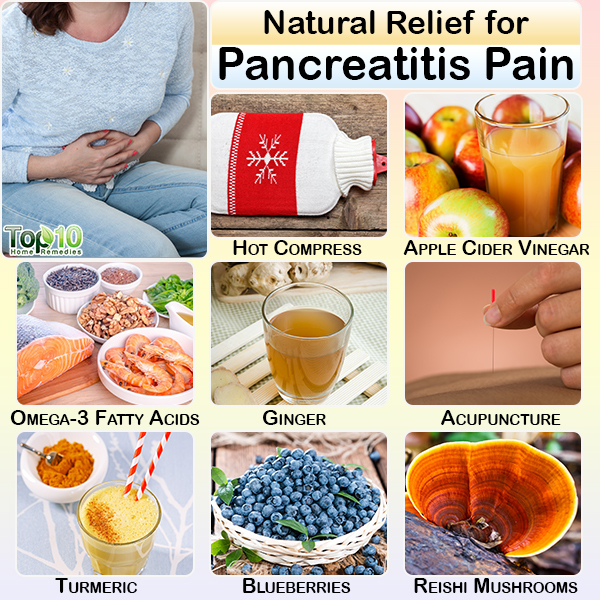 You can try some natural home remedies, along with your medical treatment, to ease the pain and discomfort associated with the pancreatitis. Pancreatitis is an inflammation of the pancreas. This happens when there is congestion in the flow of digestive enzymes and these enzymes start attacking the pancreas itself. Hence, the person affected may feel a discomfort in the abdominal region. 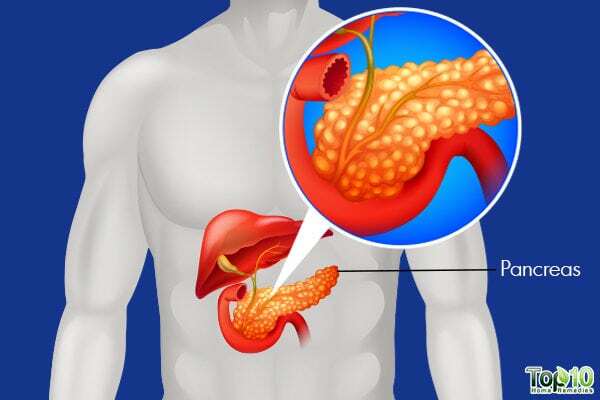 Prolonged pancreatitis can reduce the functionality of the pancreas, leading to a decline in its ability to produce normal quantities of digestive enzymes and hormones. This affects the performance of the pancreas, causing malabsorption of nutrients and often resulting in diseases such as diabetes. A hot compress is a quick and effective remedy for upper abdominal pain due to pancreatitis. The warmth of the compress helps relax the muscles of your abdomen, thus reducing the pain. National Institute of Diabetes and Digestive and Kidney Diseases. https://www.niddk.nih.gov/health-information/digestive-diseases/pancreatitis. Day JA. FAQs about Chronic Pancreatitis. Johns Hopkins Medicine. https://www.hopkinsmedicine.org/gastroenterology_hepatology/diseases_conditions/faqs/chronic_pancreatitis.html. Published October 13, 2017. Pancreatic Cancer Pain. Pancreatic Cancer Action Network. https://www.pancan.org/facing-pancreatic-cancer/living-with-pancreatic-cancer/managing-side-effects-palliative-care/symptoms-pain/. WANG Y, Zhang X, LI C. Applying Hot Compresses with Rhubarb and Mirabilite to Reduce Pancreatic Leakage Occurrence in the Treatment of Severe Acute Pancreatitis. Iranian Journal of Public Health. https://www.ncbi.nlm.nih.gov/pmc/articles/PMC5401925/. Published January 2017. Beh BK, Mohamad NE, Yeap SK. Anti-obesity and anti-inflammatory effects of synthetic acetic acid vinegar and Nipa vinegar on high-fat-diet-induced obese mice. Scientific Report. https://www.ncbi.nlm.nih.gov/pmc/articles/PMC5532206/. Published July 27, 2017. Weylandt KH, Nadolny A, Kahlke L. Reduction of inflammation and chronic tissue damage by omega-3 fatty acids in fat-1 transgenic mice with pancreatitis. Biochimica et Biophysica Acta (BBA) – Reviews on Cancer. https://www.ncbi.nlm.nih.gov/pmc/articles/PMC2614880/. Published September 12, 2008. Lei QC, Wang XY, Xia XF, et al. The Role of Omega-3 Fatty Acids in Acute Pancreatitis: A Meta-Analysis of Randomized Controlled Trials. Nutrients. https://www.mdpi.com/2072-6643/7/4/2261. Published March 31, 2015. 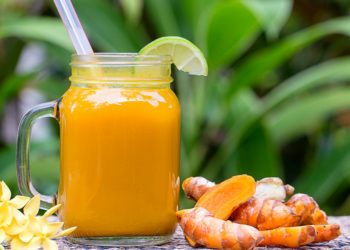 Askari G, Hariri M, Darvishi L. Anti-Oxidative and Anti-Inflammatory Effects of Ginger in Health and Physical Activity: Review of Current Evidence. Internation Journal of Preventive Medicine. https://www.ncbi.nlm.nih.gov/pmc/articles/PMC3665023/. Published April 2013. Prasad S, Tyagi AK. Ginger and Its Constituents: Role in Prevention and Treatment of Gastrointestinal Cancer. Gastroenterology Research and Practice. https://www.hindawi.com/journals/grp/2015/142979/. Published March 8, 2015. Juel J, Liguori S, Liguori A, et al. Acupuncture for Pain in Chronic Pancreatitis: A Single-Blinded Randomized Crossover Trial. Pancreas. https://www.ncbi.nlm.nih.gov/pubmed/28060186. Published February 2017. Jang DK, Jung CY, Kim KH. Electroacupuncture for abdominal pain relief in patients with acute pancreatitis: study protocol for a randomized controlled trial. Trials. https://trialsjournal.biomedcentral.com/articles/10.1186/s13063-018-2644-1. Published May 16, 2018. Yu W- G, Xu G, Ren G-J. Preventive action of curcumin in experimental acute pancreatitis in mouse. Indian Journal of Health Sciences and Biomedical Research KLEU. https://www.ncbi.nlm.nih.gov/pmc/articles/PMC3249972/. Published November 2011. Sahebkar S, Henrotin Y. Analgesic Efficacy and Safety of Curcuminoids in Clinical Practice: A Systematic Review and Meta-Analysis of Randomized Controlled Trials. Pain Medicine. https://academic.oup.com/painmedicine/article/17/6/1192/2240744. Published December 12, 2015. AICR’s Foods That Fight Cancer. American Institute for Cancer Research. http://www.aicr.org/foods-that-fight-cancer/blueberries.html. Elsayed EA, Enshasy HE, Wadaan MAM. Mushrooms: A Potential Natural Source of Anti-Inflammatory Compounds for Medical Applications. Mediators of Inflammation. https://www.ncbi.nlm.nih.gov/pmc/articles/PMC4258329/. Published November 23, 2014. Li K, Zhuo C, Teng C, et al. Effects of Ganoderma lucidum polysaccharides on chronic pancreatitis and intestinal microbiota in mice. International Journal of Biological Macromolecules. https://www.ncbi.nlm.nih.gov/pubmed/27616696. Published December 2016. Mohamed S, Azab E-, Eraky NE-. The possible protective role of aloe vera extracts in… : Egyptian Journal of Histology. LWW. https://journals.lww.com/ejhistology/Fulltext/2014/09000/The_possible_protective_role_of_aloe_vera_extracts.14.aspx. Published September 2014. Hewavitharana AK, Shaw PN, Cabot, PJ. Anti-inflammatory and immunomodulatory properties of Carica papaya. Journal of Immunotoxicology . https://www.tandfonline.com/doi/full/10.3109/1547691X.2016.1149528. Published July 14, 2016.